The biggest online poker operation in the world, PokerStars, has finally reached an agreement with Amaya Gaming of Canada to buy them out. A $4.9 billion dollar handshake appears to have finally been agreed with publicly traded Amaya, a gaming equipment supplier from Canada. Funds and credit facilities of $2.9 billion are being provided by Barclays and the Deutch Bank, along with over $675 million in securities and preferred shares being secured by GSO Capital Partners the credit division of Blackstone. The PokerStars sale has taken the business world by storm. Full of intrigue and controversy, it deserves a chapter all of its own, when it comes to headline stealing in high stake gaming industry deals. You wouldn't consider on the surface that Amaya would be a high stake player since they are not a large high profile publicly traded company, however friends in high places can do wonders when it comes down to signing and sealing such an agreement and getting it over the line. PokerStars emergence into the world of online poker was all about timing and being in the right place at the right time. Isai Scheinberg who had worked as a computer programmer for IBM developed his PYR software in Toronto right at the advent of the explosion of online poker on the internet and with the help of his son Mark, PokerStars was born. 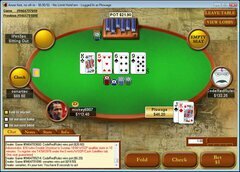 At the time there were few competitors in the field and so Isai and Mark Scheinberg along with their new baby would ride the new online Poker wave with other major players Full Tilt Poker and Party Gaming. Business grew rapidly, then in 2003 they hit new dizzy heights with the milestone event of an online tournament and Tennessee accountant aptly called Chris Moneymaker winning their PokerStars main World Series Event becoming their first million dollar winner. The publicity would come with a price, especially since online Poker contravened the U.S. Wire Act. It was decided to move the company's headquarters outside of the USA to the Isle Of Man whilst still servicing it's US based players, stating that their legal team was of the opinion that no laws had been breached. However, hot on the heels of the Wire Act a new law would be slotted in to place under the name of the Unlawful Internet Gambling Enforcement Act, there would be no crossing of wires on this one. This resulted in their big rival Party Gaming shutting their doors, followed by Full Tilt also going full tilt. Now it's time now for a graceful exit. The new Canadian operation is already compliant to yet new U.S. governance. This will ensure PokerStars will continue to thrive. Sometimes where there's a will there's a way. Looks like they found one.